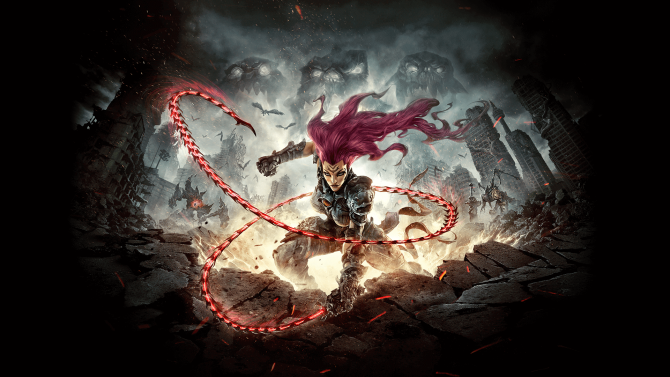 My brief hands-on time with Darksiders III reminded me of why I love this franchise in the first place and made me much more excited to see its return later this year. Believe it or not, it has been six years since Darksiders II released. Crazy, isn’t it? This fact somehow eluded me in the lead-up to Darksiders III, and it’s probably a big reason why I’m so excited that this series is back, especially after it seemed all but dead following the demise of THQ (not Nordic). I loved the first two games in the series and with it returning later this year, I’m interested in seeing how it adapts and changes to more modern gaming conventions after having been gone for such a long time. Recently at PAX West, I was able to play a brief demo of Darksiders III to see more about just what these changes could take the form of, in addition to getting a look at the game’s new protagonist, Fury. 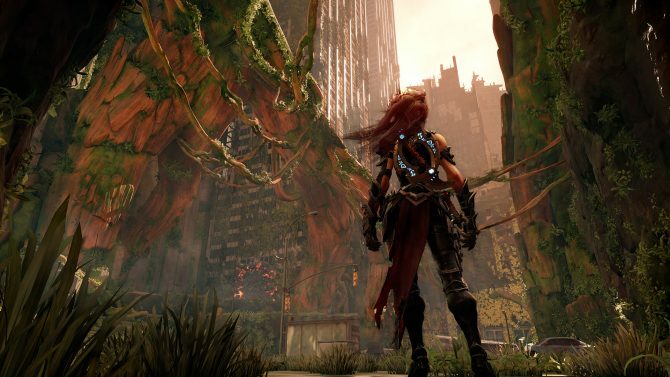 Even though this demo didn’t show me too much of where Darksiders III might be headed, more than anything, I just felt so happy to be back in this world. The demo opened in the ruins of a city and quickly introduced me to a few enemies so that I could gather my bearings with Fury’s own form of combat. The first thing I noticed is that more so than in previous games, Fury’s attacks felt slower. That’s not to say this is a bad thing, but her moves came with far more heft than I anticipated. Based off of her looks alone, I expected her to have the quickest moveset compared to that of War and Death: that wasn’t the case. The other big change that immediately stood out to me was the shift in camera angle. In Darksiders III, the camera now sits in a position that is more locked-in behind Fury rather than being more distant in previous games. Think along the lines of the new God of War, though not as close to the character. As someone who has played both of the past Darksiders titles, these changes were a bit jarring at first but it took mere minutes for me to grow used to them. On the combat front alone, I also acclimated to the slower pace of my attacks and began learning how to string them together for longer combos. 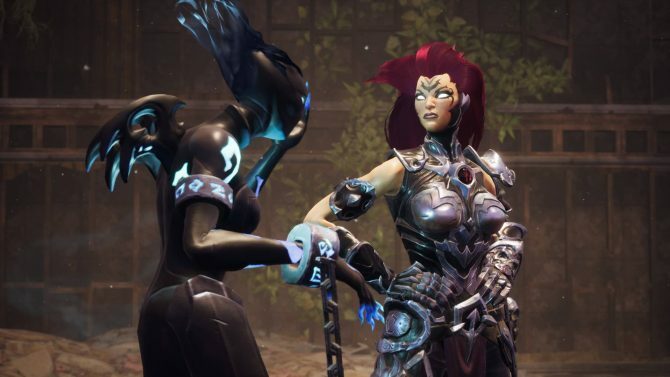 I played too little of Darksiders III to really speak much on whether or not these two new core aspects of the game will be a change for good, but I don’t think most returning players will mind. It still feels inherently like a Darksiders game should, which is the best thing I can say about the gameplay. After beating down some of these entry-level enemies, I advanced to the next area which found me taking on a boss. This bird-like creature named Envy seemed like an early boss fight in the game and was used as a means of teaching you how to dodge and avoid enemy attacks. After a few minutes of trading blows with Envy, I dispatched them and continued moving forward. The remainder of the demo saw me interact with a few other enemies and using my whip to platform about the world, but that was about it. Luckily, Gunfire Game’s Senior Designer Richard Vorodi talked to me throughout the demo and gave me a lot of insight into what I could expect from the full game. By far, the most interesting fact about the game that was told to me is how Darksiders III is now roughly a Metroidvania game. Vorodi said that if Darksiders II was built out more horizontally and had a wide amount of content spread across many different areas, then Darksiders III was built vertically, with everything taking place in one region. The Darksiders series has always worn its inspirations on its sleeve with series like The Legend of Zelda, Diablo, and many others providing the root ideas that then have been adapted and made their own by the developers. Vorodi didn’t mince words when saying that he and the team at Gunfire took a lot of inspiration from classic Metroidvania titles like Super Metroid and Castlevania: Symphony of the Night when creating Darksiders III, and he’s excited to see what fans think of it. He also told me that he loves mixing things up in this manner because it keeps the series fresh and makes each Darksiders title feel completely unique. The other aspect that Vorodi talked-up quite a bit to me dealt with the story, an element of the game that he specifically seemed so excited about — I could hear it in his voice. 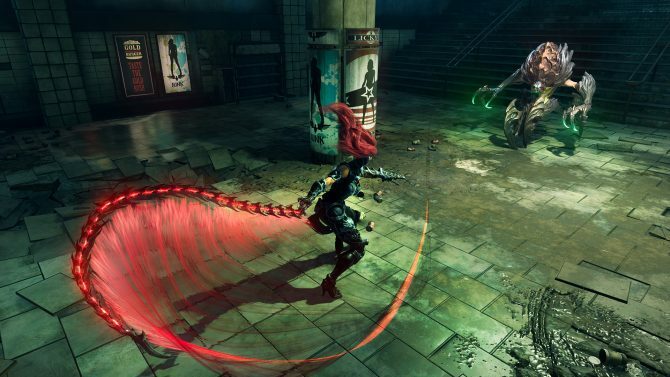 Vorodi said that he and Gunfire have remained relatively silent about the narrative of Darksiders III other than the core story beats, simply because of the number of crazy things that happen throughout the game. He said that even the demo I played had to be somewhat trimmed down so that I wouldn’t gain too much insight into the narrative. Vorodi told me that if you’re a returning Darksiders player, this is by far the best story in the series and one that he is extremely proud of. While it was hard for him to outright tell me what makes it so special without spoiling the entire thing, he said that there are some major surprises even early on in the story that will leave longtime fans shocked. Darksiders III probably shouldn’t exist but I’m so, so happy that it does. Returning to this world for even a brief demo of this nature reminded me why I loved the first two games in the series so much to begin with, and it made me want to try and replay them before the third installment launches. While I didn’t get a great idea as to the full scope of Darksiders III from this demo, everything that I saw and played encouraged me and made me even more excited to play through Fury’s chapter of this story. 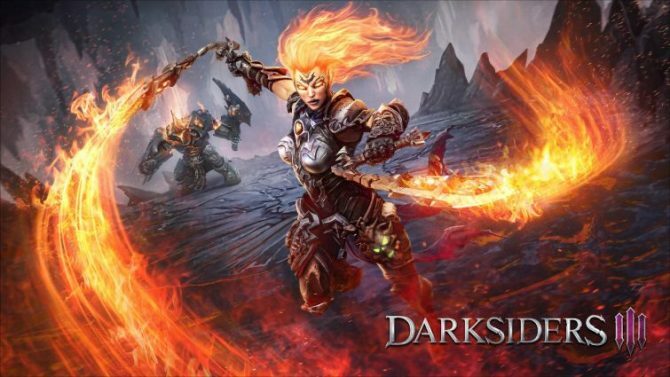 Darksiders III is slated to launch near the end of this year on November 27 for PS4, Xbox One, and PC. You can pre-order it right now over on Amazon if you’d like.